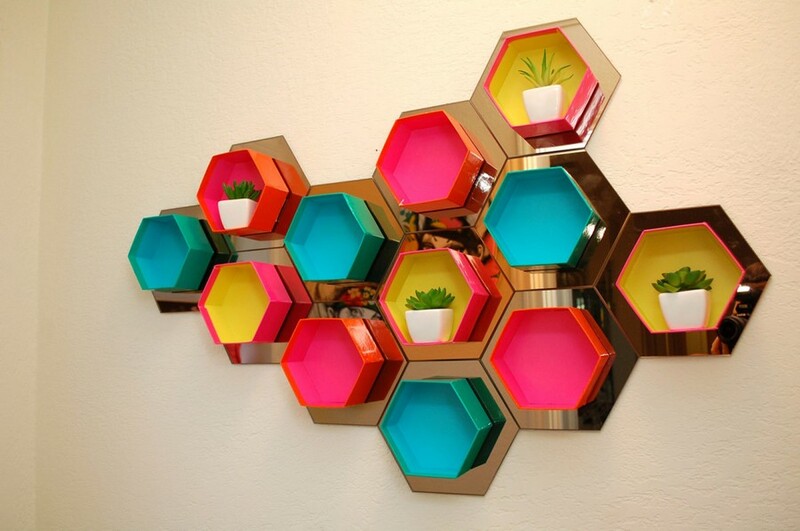 Hexagons, or more precisely hexagon compositions reminding of honeycombs, are one of the top trends of contemporary interior design. Fashionable hexagonal patterns are now and then found in new collections of home décor and textile, designer wallpaper prints and furniture upholstery. Light fixtures, tiles, furniture and architectural elements – traces of this magnificent shape can be observed everywhere. 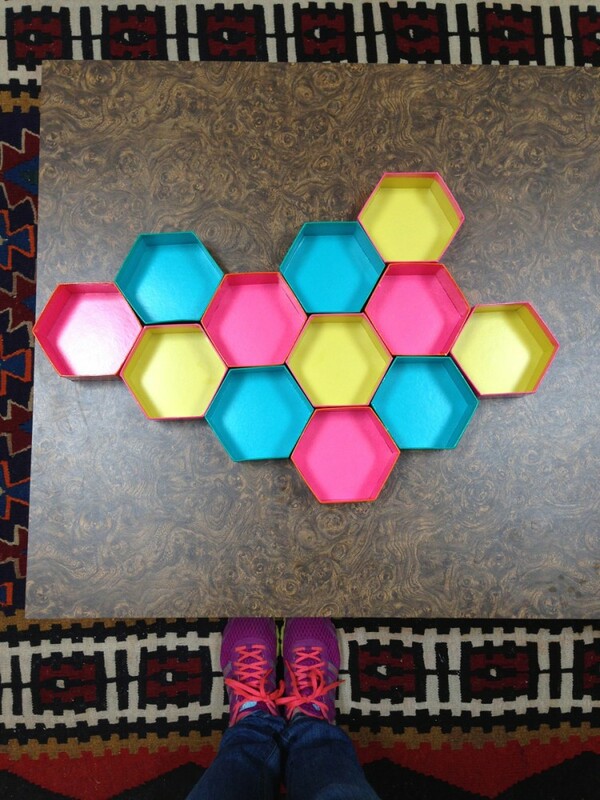 We suggest that you join this hexagonal designer passion and add a bright honeycomb shelving unit to your interior. 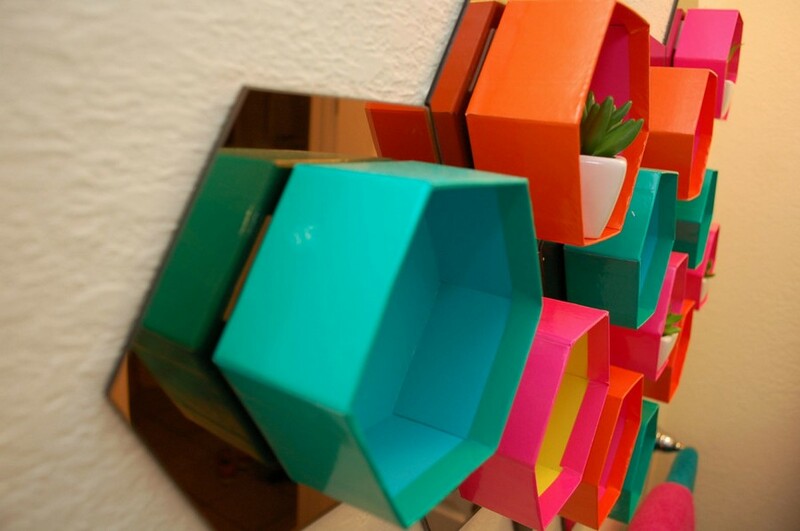 12 hexagonal mirrored tiles (in our case it’s a set of HÖNEFOSS mirrors by IKEA including 10 mirrored tiles and double-sided tape). For a start remove the lids from the gift boxes and keep them for your next handmade day. 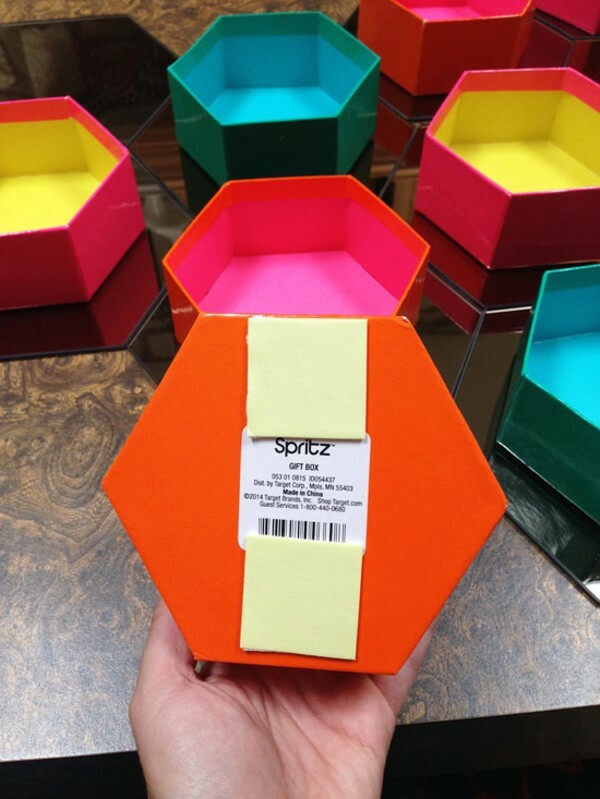 Then create a desired composition from boxes trying different shapes and color combinations. Once you made up your mind, take a picture to use later for reference. 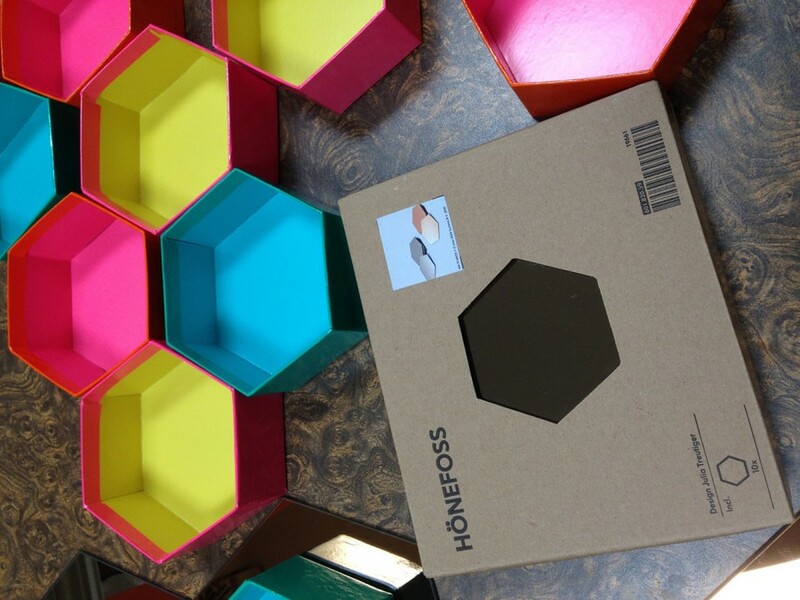 Then attach each box to the centre of a mirrored hexagon using double-sided adhesive tape. Now it’s high time to get down to the installation: start from the center of the composition and gradually move out. Use wall-mounting stickers that come with the IKEA set. And if you need to refresh your memory, check the photo you took at the beginning. Well done! 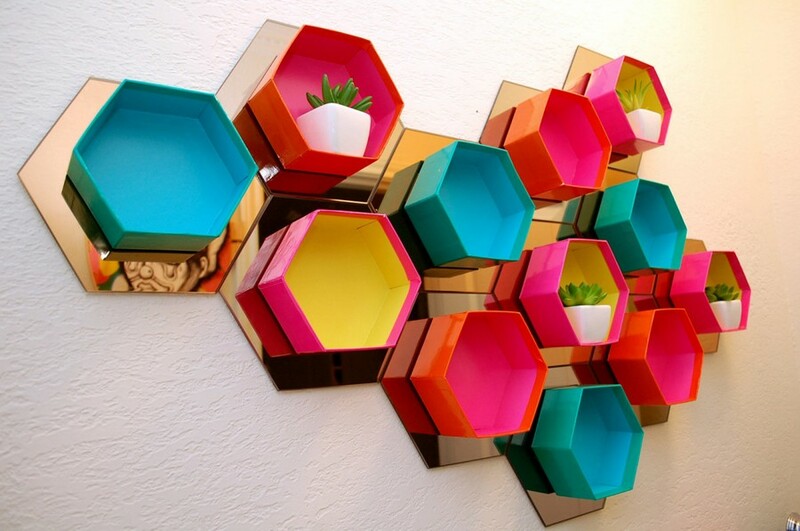 Now you got a trendy handmade wall décor piece, which is pretty functional at the same time. You can safely use it as a shelving unit, just make sure that the items you display are not too heavy.